I normally keep Soothing Aloe Vera Gel in fridge for cooling effect. This is good especially during summer or after long hours of outdoor activities. Just apply it direct to your skin. Not only it gives you comfortable cooling effect, it helps to treat sunburn too. Some people use it for face mask by applying for 15 minutes and then rinse off with luke-warm water. I apply Soothing Aloe Vera Gel as overnight sleeping mask and find this helps to keep my skin moisture. Last year the dewy effect make up was very popular. Not sure whether its still popular now. 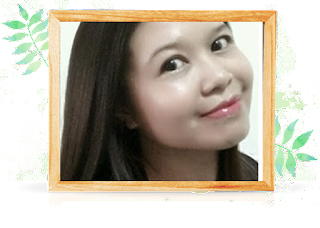 I don't use primer to achiever dewy glowing effect on my make-up. I just mix a drop of Aloe Vera Gel to my CC Cream and walahhhhh....it works like magic! I normally use body lotion for my dry skin. But certain area like elbow , knee and under foot really dry even the body lotion for dry skin won't helps. I added Soothing Aloe Vera to body lotion and it treat the dry area really well. Sometimes when I ate wrongly or cried over K Drama (I am K Drama Addict), I end up wake up with puffy eyes. I look like ' blow fish' . No joke. WTH! I just add some gel to cotton pad and place it on top of my closed eyes. Just leave it for 15 minutes and the puffiness gone after I remove the cotton pad. Try it! There are many Aloe Vera Soothing Gel in the market and many claims made in Korea. If you are not careful you can end up with fake Aloe Vera Gel in your hand which will cause damage to your skin. So, be careful and always get yours from renown pharmacies of beauty counter. 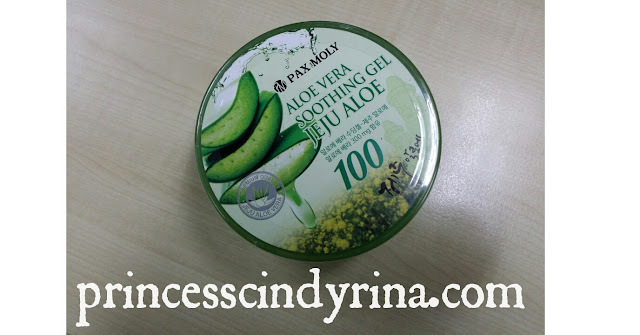 Currently, I am using Pax Moly Aloe Vera Soothing Gel Jeju Aloe. Love this brand because the gel is light-weight and non greasy with easy absorption to skin. Most important this is not that sticky version of Aloe Vera gel. I love using aloe vera gel, and just bought mine from the Faceshop. I can't resist the buy 1 take 1 promo. Oh this post remind me of a chinese girl who almost dies why livestreaming herself eating aloe vera leaves, turns out that kind of aloe vera is poisonous. I use it as my sleeping mask - but now I know that I can use it for that dewy effect! Thanks for the tips. I love aloe vera gel! Thanks for sharing! I got this tub of aloe vera gel also, its very useful for the whole family. I can totally relate about crying over K Drama and waking up with puffy eyes. Now I know how to cure it! Agreed. It worked like a charm! I love using aloe vera gel but I'm using different brand. Thanks for sharing. I love aloe vera ..refreshing.